Sony has been working hard to capture the flagship market, with its latest offering, the Xperia XZ2 Premium being launched recently. However, the company hasn’t stopped there, with talks of a new premium device by the name of Xperia XZ3 to be launched later this year at its annual press event at IFA in Berlin. While not much is known about this device, we might have an idea what it may look like. 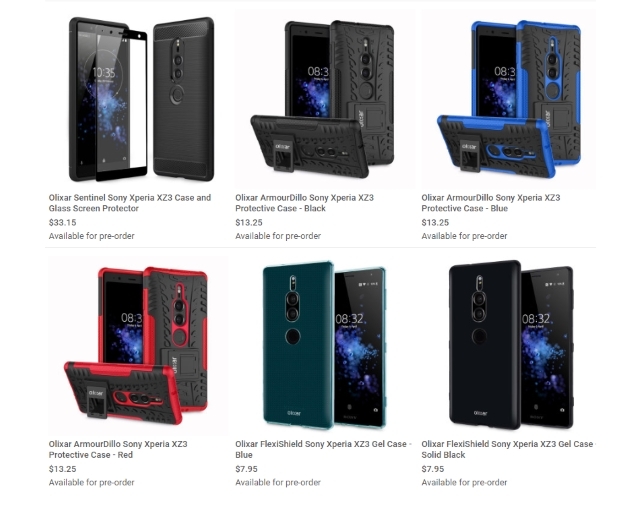 As reported by GSMArena, case maker Olixar has seemingly revealed the design of the upcoming smartphone, showing us the following renders of the XZ3 inside a range of its protective cases. 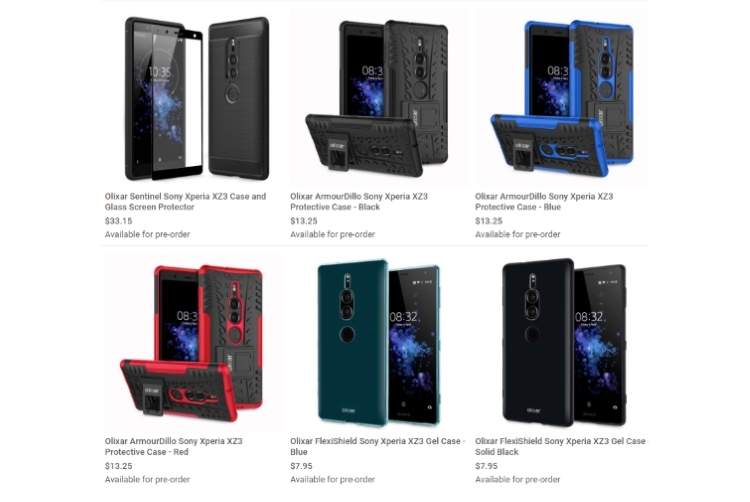 As evident from the images, the device sports a design that seems like a cross between the Xperia XZ2 and the Xperia XZ2 Premium. It has a dual rear camera setup like the XZ2 Premium, yet while the lenses are pretty much in the exact same spot, they are separated. Speaking about the camera, the rear camera setup could be borrowed from the Xperia XZ2 Premium, so it would be a 19 MP main sensor along with a 12 MP black and white secondary sensor. Considering the device would be launched later this year, it could be powered by the Snapdragon 845 along with up to 6GB of RAM and a 3,240 mAh battery. It is expected to sport an 18:9 aspect ratio like the XZ2 with some evident bezels. As such, you can expect the Sony logo to be at the bottom of the screen, thanks to plenty of room for it. The Xperia XZ3 is expected to launch at Sony’s event at IFA in Berlin on August 30, so stay tuned for more.